Iran could launch terror attacks on America if threatened, but has yet to develop a nuclear bomb, US spy agencies have announced. 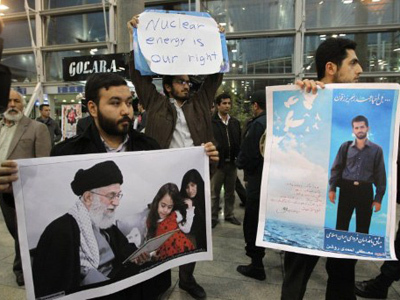 However, experts believe the report’s allegations are baseless and jeopardize the 5+1 talks on Iran’s nuclear program. 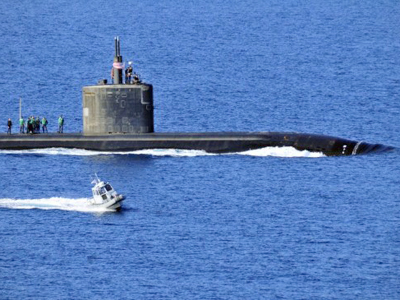 Tensions have escalated between the two nations as the US applies pressure on Iran over its alleged atomic weapons program. 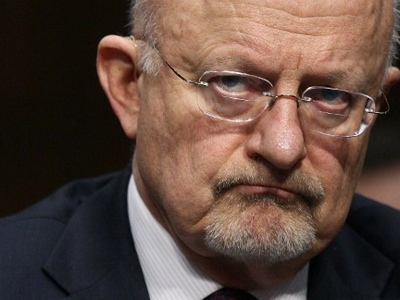 Assessing external threats facing the United States of America, Director of National Intelligence James Clapper reported on Tuesday that some Iranian officials might be willing to launch terror attacks on America. The official linked US suspicions with the thwarted assassination of the Saudi Ambassador in the United States in December, which America alleges was plotted by Iran, but which Tehran denies. "Some Iranian officials, probably including Supreme Leader Ali Khamenei … are now more willing to conduct an attack in the United States in response to real or perceived US actions that threaten the regime,” Clapper said, addressing the Senate Intelligence Committee. The intelligence chief added that Iran has the technical capabilities to build a nuclear bomb, but has yet to make a decision to start the relevant production. "Iran's tactical advances, particularly in uranium enrichment, strengthen our assessment that Iran is well capable of producing enough highly-enriched uranium for a weapon if its political leaders, specifically the supreme leader himself, choose to do so,” he said. Clapper went on to add that there was "dissension and debate in the political hierarchy of Iran" on whether they should start producing a weapon, assessing the risk of having one against the regional prestige it would give, AP news agency reports. Senate Intelligence Committee chair Dianne Feinstein said that 2012 would prove "a critical year for convincing or preventing Iran from developing a nuclear weapon." Last week US Defense Secretary Leon Panetta announced that Iran could build a bomb quite quickly. "If they decided to do it, it would probably take them about a year to be able to produce a bomb, and then possibly another one to two years in order to put it on a deliverable vehicle of some sort," Panetta said in a televised interview on Sunday. 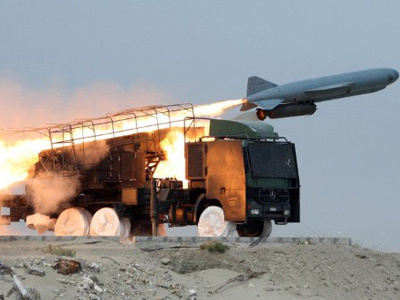 This US intelligence assessment came as Israeli Defense Minister Ehud Barak announced that Iran is gearing towards nuclear weapons and that time is “running out”. Western powers have ratcheted up sanctions against Iran over the past couple of months in an effort to curtail the country’s nuclear program which is they believe includes the development of atomic weapons. 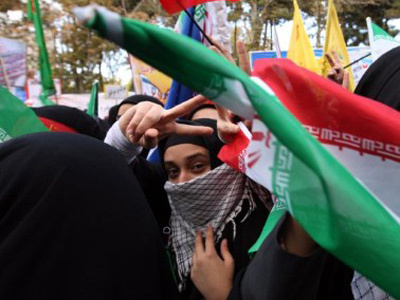 A number of European states have also agreed to implement an oil embargo on Iran that will come into effect this July, fanning the flames of an already volatile situation. Iran, for its part, has threatened to close the strategic Hormuz Strait, a key shipping channel used to transport massive shipments of oil, if more sanctions were imposed by Western powers. 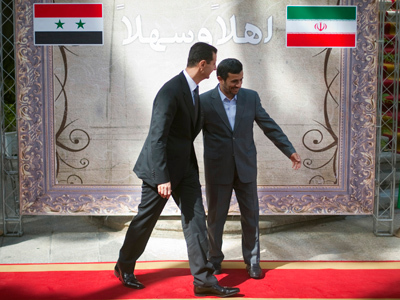 Despite the piling up of sanctions Iranian President Ahmadinejad said his country’s economy was in excellent health and that growth was predicted for the coming year. Shirin Shafaie, member of the Campaign Against Military Intervention in Iran from the University of London, contradicted American theories of Iran’s imminent attack and highlighted the country’s strongly defensive foreign policy in an interview with RT. “Today, Iran is in a much stronger position and does not have to resort to an attack on US soil to defend itself in the face of US threats,” said Shafaie. She cited the fact that Iran’s military did not launch an attack on the US in the 1980s when America was actively supporting Iraq’s war efforts against the Iranian army forces. Shafaie alluded to possible ulterior motives behind the allegations. “The baseless US allegations are designed to poison the environment for possible negotiations between Iran and the 5+1 in the near future,” she said. Such a response would not be "unusual, since any country – if it is attacked – will look for ways to retaliate,” he told RT.